The short version: Before Mama’s Family, there was a TV movie about the Harper family in which Mama dies at the end. And that’s weird. 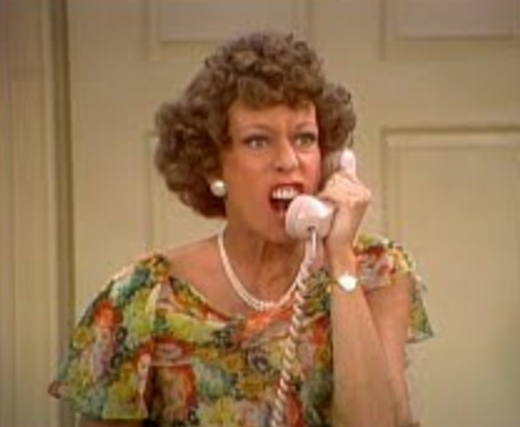 I talked to Carol Burnett on the phone last week. It was for an interview I was doing about her getting the lifetime achievement honor at the Screen Actors Guild Awards. She was perfectly lovely, and I’m sure all the stories about her being genuine and beatific and otherwise purely wonderful are true. The thing that struck me the most about talking to her was how it felt like I was talking to a beloved aunt. I’m sure this reaction is common. She has that way about her. I’d actually only seen a handful of the most famous sketches from The Carol Burnett show beforehand, so I noodled around on YouTube watching whatever came up. The show was pretty wild, and I think our conception of sketch comedy has become so shaped by Saturday Night Live that we forget how well long-form sketches can work. Take this 1975 takeoff on Cinderella, for example, with the Pointer Sisters playing the evil stepsisters. 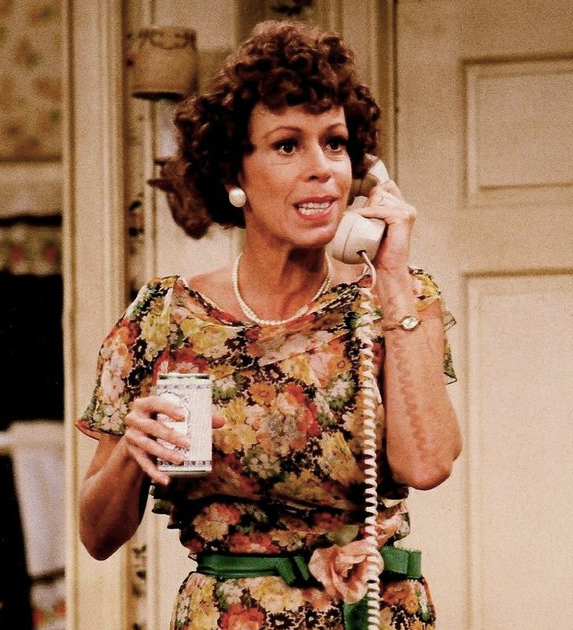 My introduction to Carol Burnett, however, came in the form of Mama’s Family, which aired on a weird indie station in my hometown that also provided Matlock, Perry Mason and whatever movies they could get their hands on. 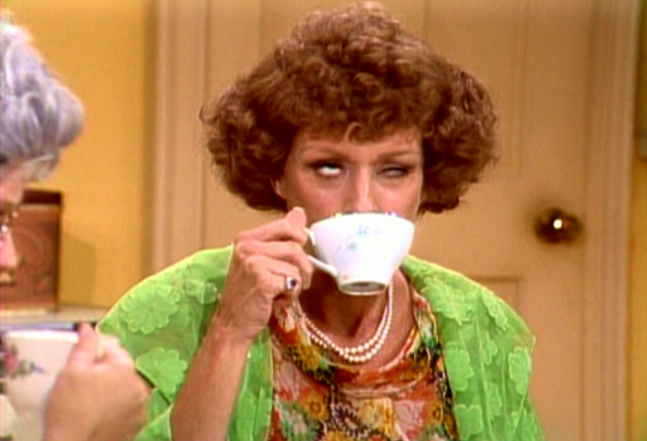 But even then, it wasn’t easy to trace the show back to Carol Burnett. Though Thelma Harper and her family started on a recurring skit on The Carol Burnett Show, Burnett herself only reprised the role of Eunice — awful, striving Eunice — in only a handful of Mama’s Family episodes. And beyond the second season, after NBC cancelled the series and episodes were running in syndication first, Burnett doesn’t appear at all. In going back to look at old sketches, I also found out that in 1982, CBS aired Eunice, a ninety-minute movie about the Harper family that works more like a four-act play. Eunice led to Mama’s Family premiering in January 1983, clearly, but it’s a lot different. It plays out more like All in the Family or maybe some Norman Lear one-off about the death of the American dream. It’s dark. It’s also good in a way that Mama’s Family wasn’t and maybe never tried to be. Here’s the entire film, though I’m going to post one important scene later in the piece. The film consists of four vignettes spread across time — in 1955, 1963, 1973 and 1978 — and over the course of them you see Eunice evolve from a young woman with creative aspirations into a sad, alcoholic divorcée. Ken Barry, who played the dumb son Vinton on Mama’s Family is in the movie too, but playing a different character: Phillip, Eunice’s writer brother who becomes successful and leaves the family to move to Los Angeles. The fact that he left is a major point of discord for Mama and Eunice. He also may be coded as gay, but I’m also possibly jus projecting because Phillip is me, if you ignore the whole “successful writer” part. Betty White plays Ellen, Mama’s third child, more or less as she does on the show — stuck up and eager to rub Ellen’s nose in her relatively comfortable life. The most interesting difference between Eunice and Mama’s Family is the fact that the movie kills off Mama before the final vignette, which centers around the three Harper children returning to the family home after the funeral. It’s a heartbreaking scene, really. Faced with her failure of a life and a lack of anyone to live for now that her mother has died, Eunice crumbles. Phillip convinces her that she should follow her dreams and move to L.A. with him. She agrees, and for a moment she has hope. But then she gets a call from an elderly aunt suffering from a sore back, and Eunice agrees to help her out, even let her move into Mama’s old room. She decides to postpone moving to L.A., and the film ends with the implication that she’ll never go. Watch the clip — even a little bit of it. You’ll be surprised how straight Burnett and the rest play it. They get real. The audience chuckles a bit before they realize that for this big scene, the cast is not trying for laughs. It’s interesting that Mama’s Family would evolve out this TV movie, because the sitcom was very much centered around a family unit that was dysfunctional but ultimately necessary. Eunice, however, seems to argue that family life can be toxic and ultimately destructive to anyone who dreams of something more than simply marrying and reproducing. Phillip only achieves creative success by leaving the family, whereas not leaving it destroys Eunice. There are scattered hints at Mama’s Family throughout. Naomi Oates, she of the off-the-shoulder margarita waitress look and the character who would marry Vinton on the show, gets mentioned as Eunice’s drinking buddy. Also mentioned but unseen is Bubba, who in the movie runs away from home. And while the unseen aunt with the sore back isn’t Fran (Rue McClanahan), I’m going to consider her a kinda-sorta forerunner, just because I like Aunt Fran. This deep into the post, I suppose I should explain why the hell I decided to write about an old sitcom that I suspect most people don’t remember as well as I do, to say nothing of remembering it fondly. When I was a kid, Mama’s Family hit just right. As Mama, Vicki Lawrence said funny things and spat out PG-rated insults to dummies. I would still watch even in high school, even if teenaged me had gravitated more toward Mary Tyler Moore at that point. It was a comfort thing. Eunice, however, is good, and that’s 33-year-old me saying that. On its own, it’s like a dark little play about how small-town America isn’t a safe place for certain kinds of children. This version of Raytown (and real-life Raytowns around the country) work hard to stamp out the desire to try hard and be different. I’m speaking from my own experience, of course, but that’s why this pop culture footnote resonated so strongly. As a predecessor to Mama’s Family, however, Eunice is the kind of stuff I live for — a weird, forgotten history to something most people remember as this benign, familiar thing. It’s like finding a lost Brady Bunch pilot where Carol’s husband dies of a self-inflicted gunshot and Mike’s ex-wife runs off because the fourth Brady boy drowned in the bathtub. And if you have any sort of soft spot for Mama’s Family, either in spite of or because of how corny it could be, watch Eunice. It’s a look into an alternate dimension, and how often do we get a chance at those? In case you’ve ever wondered why Burnett and never appeared in the syndicated episode’s of Mama’s Family, read about that here. Furthermore, McClanahan and White didn’t appear in the syndicated episodes because they’d both taken roles on a little show called The Golden Girls, where they famously flip-flopped the roles they’d initially been offered. McClanahan, who played the naif on Mama’s Family, took the role of the seductress, and White, who played Ellen with a cruelty that’s really strange to watch, given White’s current status as American’s grandma, took on the role the dumdum. If you want to see how very rotten and un-Rose Nylund-like White’s character is in Eunice, click here. The Golden Girls character swap was so effective that it essentially redefined both actresses’ public personas. And in case you’ve wondered why Carol Burnett Show cast member Harvey Korman never appeared on Mama’s Family, know that he did: as a stuffy academic who introduced the early episodes, Masterpiece Theater-style. These intros were cut from syndicated broadcasts, and that’s too bad, because they help you see the show as knowingly corny Americana instead of some earnestly dopey version of American life. One character who did join the show after the syndicated episodes started was Bubba, who’d previously only been mentioned before. I have nothing to add here aside from the fact that as a kid I really liked Bubba, and in retrospect that was probably a crush on Allan Kayser that I wasn’t consciously processing. 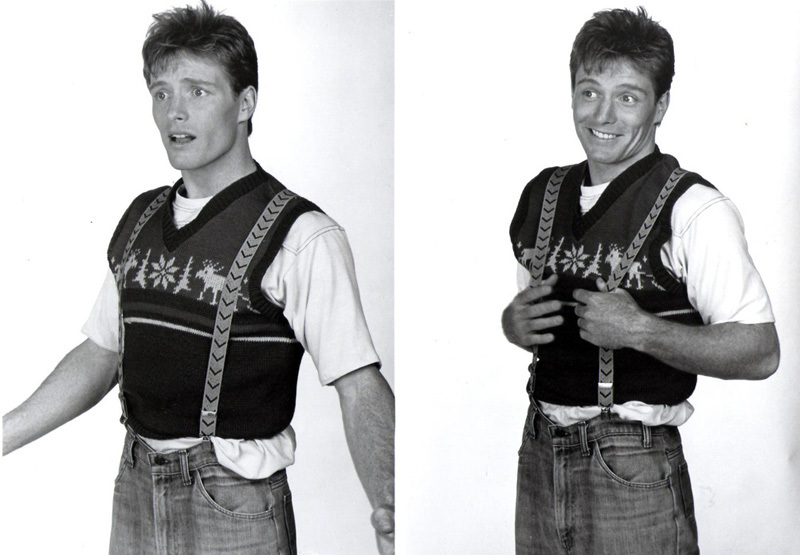 Even today, I gotta say that he made suspenders look good. He still does, actually. At the start of this piece, I wanted to call Carol Burnett avuncular, but that’s kind of not the right word, since it means both “friendly” and “like an uncle.” Burnett, however, is friendly and like an aunt, and apparently there is no word that means that. For what it’s worth, the interview was with both Burnett and Bob Mackie, who designed all the costumes on The Carol Burnett Show and who my family has always jokingly called “Uncle Bob.” So it was Uncle Bob and Aunt Carol. The indie station I mentioned is the same one that introduced me to the horrifying, Sanrio-produced stop-motion Nutcracker and the weird, time-traveling Phantom of the Opera where Molly Shannon plays Meg. It probably set me on a weird path, pop culture-wise. And in closing, Eunice made some amazing faces. I grew up watching Mama's Family but had no idea about the Eunice movie. I'm going to have to go back and watch it. Thanks for the post! Whoa! A full "Eunice" movie? I can't wait to get home and watch this tonight. Mama's family was a big part of my TV watching childhood. Like my 3 older sisters, I was a little obsessed with Bubba. Whoa, this is heavy. I had no idea about that movie, but I'll have to try to find time to check it out. I remember the show, though only somewhat. The theme, some of the characters, but only one particular episode: the one where Mama goes back to school, and for some reason, Cliff's Notes are basically depicted as the devil. It was the first place I'd ever heard of them, and was kind of surprised when they'd be occasionally recommended for studying in school some years later. Great article. I'm a huge fan of this show! Grew up watching it when it first aired and then for years after in reruns. I was too little to remember watching The Carol Burnett Show when it was shown originally but I caught up with it in syndication I guess. Because when Mama's Family first premiered on CBS I can remember that I knew the characters and was excited for the show. While I enjoyed the first two 'network' seasons, because of Carol's guest spots and Betty White being a main character, I think the 'syndicated' years were some of my favorites. Actually Betty White, as a favor to long time friend Vicki Lawrence, took a quick break from filming Golden Girls and guest starred in one single appearance as Ellen in the first season of the syndicated run (Season 3 of the full series). It was the 3rd or 4th episode for that season.Mama thinks Ellen is at death's door and needing major surgery as they discover from someone Naomi knows from Food Circus that she's checked into Ray Memorial Hospital. She rushes to be by her (favorite) daughters side thinking the worst and comes to find out Ellen is only there for a "Fanny Lift" as she calls it. Haha. And actually Harvey Korman did actually appear in the first season as Ed Higgins along with his role as Alastair Quince in the beginning scenes of most episodes. One "Ed" epsiode that stands out is the one with Vint and Naomi's Wedding. Naomi asks Ed to walk her down the aisle which infuriates Eunice that he's allowed to be part of the wedding because she had expected to sing at the ceremony and was shot down. This was one of many things that led to her hilarious drunken rendition of "Oh Promise Me"
I highly recommend the Time/Life complete DVD series to you and any huge Mama's family fan. There is a ton of bonus footage and interviews with almost all of the cast and guest stars plus a mini reunion, bloopers, and featurettes. It even includes the Eunice movie and the picture and sound are excellent. The episodes are complete and uncut (for the most part.. a song or two had to be trimmed due to copyright issues) and the first two seasons not only have the Alastair Quince openings (as you mentioned, Harvey Corman playing off of Masterpiece Theatre) but also the voice overs at the end of each episode where one of the cast members talks over the end credits and tells you the show was taped in front of a live studio audience. Another cast member chimes in with a joke after that and it's always funny and actually fits the series 'charm' very well. These end credit voiceovers were completely cut from all rerun airings just like the Harvy Corman openings. The set also gives some history on the Eunice movie. Carol Burnett, after ending her show on CBS still had a contract commitment with CBS to produce and star in future projects for the network and the Eunice movie was one of those. It was filmed a couple years after the Burnett Show ended and then actually was held for another full year or so before CBS aired it. And even though Mama dies at the end it was rated so highly by TV audiences that it's what made executives want to make Mama's Family into a series. Some fun facts about Eunice and foreshadowing Mama's Family.. You mentioned the Naomi and Bubba connections but there was also another familiar name. In the first act "1955" when Eunice is getting ready to crash Duke Reeves party with an unknowing Ed, Mama goes on a tangent about it. She mentions how their neighbor "Mrs Boylen" says Duke Reeves could have any girl he wanted. 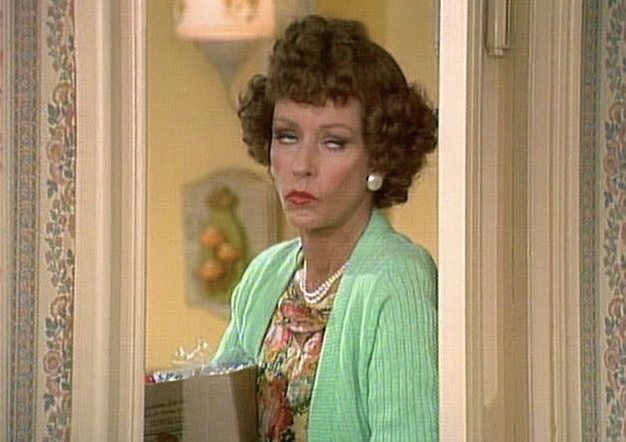 And of course on Mama's Family "Mrs Boylen" is Iola's mother. Actually the Boylens were mentioned several times in the first 2 seasons of MF before Iola joined the show.. For example they borrow chairs from them for Mayor Tutwiller's press conference at Mama's house which leads to her running for Mayor. There's also "Fluffy" the bunny mentioned several times in this film. On Mama's Family when they go on the game show Family Feud, she is asked by the host "Name a pet people might have besides a dog or cat" her answer was a Bunny Rabbit but because she answered without hitting the buzzer Richard Dawson shakes his head at her, She thinks he's disagreeing so she says "No that's a good answer.. why, we had Fluffy for years didn't we Vint?" Incidently, the Fluffy story was actually recycled from a Family sketch. It was the first one that guest starred Betty White as Ellen.The sketch starred White , Lawrence, and Burnett and the lines delivered by Ellen (and Eunice upon hearing of his demise) in the Eunice movie were repeated verbatim from that original sketch. The only difference was the stinger from Ellen about he would have been dead by now anyway. It was originally Mama's line. This sketch is on youtube and should definitely watch it. It's interesting comparing the two because in the version of the Fluffy scene done for Eunice the movie, it's followed by the heartbreaking scene of her running through the house and finally coming to terms with Mama being gone, and to be honest is kind of a bummer. But in the original sketch the scene is Hilarious! it gets a huge laugh and Carol's "Oh Fluffy, Fluffy, Fluffy" bit is classic Burnett. You mention how "Eunice" is the dark side of the Mama's Family universe. Definitely agree on all your points , in fact as mentioned above in the difference between it and even the Family sketches it's as close to an alternate universe as any sitcom I've ever seen go to.. without playing it for laughs. But even so. The movie is still kind of in keeping with how The Family sketches in general were far darker than Mama's Family in many ways. So many of the sketches.. when you really break them down, are funny because of their over the top histerics, their accents, Eunice's funny faces and reactions. The actual meat of the sketches have no jokes at all and I think if they just played those scenes 'straight' they would play more like a drama with no laughs anywhere. That's why, I think, the one comment above that said Mama's Family was unwatchable comes from someone that must have got the more 'cerebal' reaction from the sketches and apprecited the grasp the very talented actors had on their characters to make them funny in the midst of misery. Where as a fan of the sitcom sees the hilarity in the simple silly stories and general good vibe that the series gave. To me I can appreciate both and am a fan of it all and MF is not only totally watchable but re-watchable all these years later. Even in the case of Eunice the movie the 'funny' is still there .. at least for the first 3 acts. One last thing.. you mention how you saw the character of Phillip as being gay. It's interesting to note that the Phillip character was originated by Roddy McDowell.. who knows. Interesting post but you're missing quite a bit and a few inaccuracies as well. "Eunice" the movie was really a stand alone piece and mainly served as the finale to the Burnett Show series, which was called "The Family." With "Eunice" fans who had been watching "The Family" for years could finally say it was over. But then out of the blue came "Mama's Family." Obviously spun off from "The Family" and to say it evolved solely out of "Eunice" would not be accurate. It's true, though "Eunice" keeps the exact same writing style and personification as the "The Family" it was a creation all it's own and Carol really meant for the story and the characters to end with "Eunice." Unfortunately, however, it was Carol's husband and executive producer of the Carol Burnett Show who actually "owned" the story and the characters. When he and Carol divorced, Carol had no control of the story any longer and Joe, against Carol's wishes, went on to produce "Mama's Family" - many think to hurt Carol and when Carol found out that Vicky had agreed to do "Mama's Family," Carol was very hurt. "The Family" was never longer than 10-15 minutes. But Mama's Family was going to be sitcom. 24 minutes once a week. Completely different writers than the "The Family" and so many changes were made. It was thought that Vicki needed to "buff" up momma a little bit and she needed a much broader range of character for the sitcom. So they wrote Mamma to be center character (Eunice was always the obvious center in "The Family") and needed to be spunkier, a bit more hip and less "conservative." So along with these changes came out a different voice for Mama as well. A faster gait to her speech, etc. Many die hard Burnett-"Family" fans hated it, but Mama's Family brought a whole new audience and generation to the story and to Vicki's career. She's still known and performs as Mama from "Mama's Family" not Mama from "The Family" on the Carol Burnett Show. Personally I think the first Mama was a better character. Being the main character pulling a show is hard and i felt Vicki's "new" mamma was a bit forced. All of her usual idiosyncrasies became trite and over done, hence the show's cancellation. They BEGGED Burnett to come on with Vicki and play Eunice every week, but she smartly said no. When Burnett would show up, the magic was totally gone. Vicki's new Mama along with the totally different script did not mesh with Carol's Eunice anymore at all. As a result Carol hated every minute of it. She claimed the original story had been long lost, which it was. That was only Vicki's second professional acting job and I think from reading her book she grew a lot as a person and as a professional actress during that time. She admits that when she was making Mama's Family she didn't realize just how different it was from the original "Family" and her and Carol had a major falling out. Vicki said it was much later when she finally saw what Carol and the audience saw: it just wasn't the same without Eunice and why the audience didn't buy it. 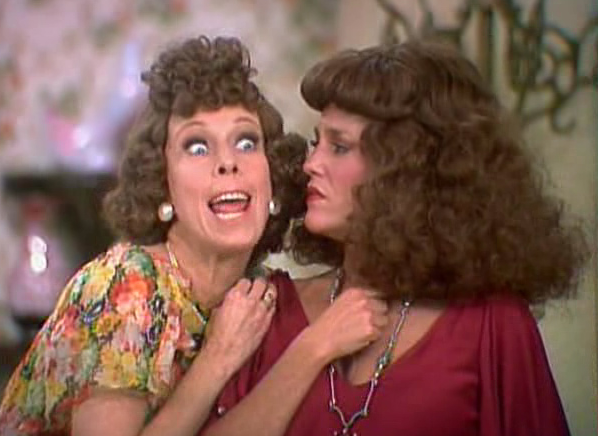 Many don't realize that "The Family" was a feature on the Carol Burnett from 1973-1978 with the final cue de grace being "Eunice" a made for TV movie in 1982. "Mama's Family" ran for only one season with Carol as Eunice for 5 of the episodes. Carol never appeared in the syndication run of "Mama's Family." your entry is way more interesting and more accurate than the article. the writer claims she interviewed Carol but then writes a piece that is a bit off. I was kinda thinking that the interview with Carol was probably made up for the sake of a blog entry. Someone who is serious about journalism and about writing wouldn't write a vanilla article and then give "the real story" in a blog. Sounds like we are around the same age, soon to be 35. Mama's Family also had a similar effect on me. Given the fact they show it on Logo a lot, it sounds like it made an impression on many in the LGBT community. What did you think of Iola? I noticed you didn't mention her.